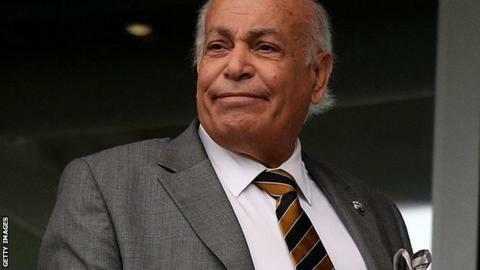 Hull City owner Assem Allam does not plan to attend any of the Championship club's matches this season. The 76-year-old saw his bid to change the club's name to Hull Tigers denied by the Football Association for a second time last month. Allam has closed the chairman's suite at the KC Stadium so visiting officials will be entertained elsewhere. The decision applies to all of Allam's family, including his son Ehab, who is vice-chairman. Allam, who has faced protests from the club's fans over the issue, is convinced that rebranding the club is the only way to bring new investment in from overseas markets. The businessman took over at Hull in 2010 but put them on the market when his first attempt to change the name was rejected last year, and they remain for sale.